The summer of sporting has already begun in the form of the World Cup; however Britain has plenty more to look forward to this summer as Wimbledon, the Henly Royal Regatta and the Royal Ascot races are just around the corner. These quintessential English sporting events encourage elegant and demure styles, with a modern twist of course, and have become just as much about the fashion as the sporting itself. As these sporting occasions require a smarter dress, finding the right outfit that is appropriate for the occasion and both stylish and comfortable, while still considering the unpredictability of the British weather, could prove to be easier said than done. However, one wardrobe piece that should be less complicated is your wrist accessory. Your choice of watch is the one essential compliment to your outfit and will complete that sophisticated and stylish look. The ideal clothing choices for men include suit jackets or blazers, trousers, shirts and dress shoes and a statement watch goes hand in hand with these pieces. We’ve put together a small collection of watches that we think would be ideal for completing the perfect look if you’re attending any of these great sporting events this summer. 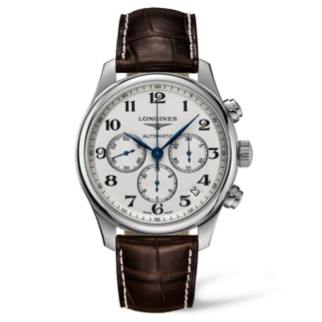 The Master Chronograph from Longines is a classic and elegant watch that will complete your sophisticated and refined style. This beautiful gent’s watch features 3 polished sub-dials and striking blue hands encapsulated within a polished steel case and secured with a luxurious brown alligator leather strap. This watch from the Longines Master collection would be the perfect accompaniment to a brown or navy blazer or suit jacket. 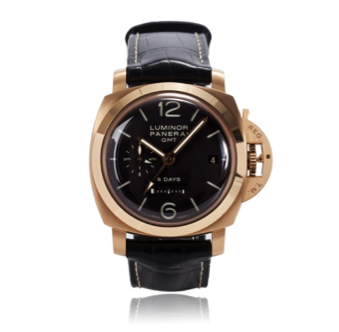 Simplistic, yet effortlessly stylish, the Panerai Luminor epitomises class and elegance in one stunning timepiece that features a polished rose-gold case and bezel, sapphire crystal glass, dark brown alligator leather strap and see-through back exhibiting the mechanics of the piece. The Luminor would make the perfect compliment to an outfit mainly dominated by brown tones. The Portuguese Chronograph watch features a timeless, classic design that is both simple and chic. The hands, numerals and sub-dials are seamlessly integrated into a clear-cut dial all enclosed within a polished stainless steel case and secured by a luxurious blue alligator leather strap. This watch also features a see-through case-back that allows you to see the mechanics underneath through the sapphire crystal glass. 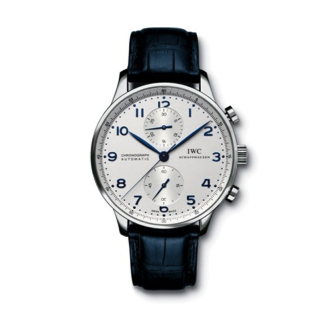 Its blue numerals, hands and strap make the watch perfect for a navy suit and crisp white shirt. Now, it’s not just those watching the sports that are conscious of their style, as those participating are just as focused on their look as anyone else. Timekeeping is an essential element to sporting and the right watch is an important accessory for those in training. A fusion of functionality and style is an important aspect of a sportsman’s image and here are a few watches we’ve put together for those that not only enjoy spectating but also participating. 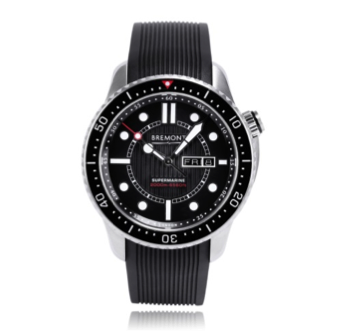 The Bremont Supermarine features an automatic movement that is protected by a soft-iron, anti-magnetic Faraday cage and an anti-shock movement mount. It also has a stainless steel case, a uni-directional rotating bezel, a black rubber strap and is water resistant for up to 2000 metres. 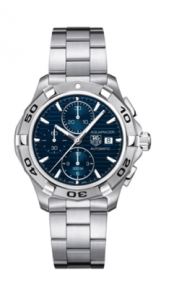 This watch is an excellent example of Tag Heuer’s reliability and excellence. It is specially designed with adventurers in mind and is mainly suited to the world of water sports and sailing, thanks to its water resistance to 300 metres. The Aquaracer Calibre 16 features a chronograph dial and uni-directional bezel for further time measurements, while its ocean-blue face is protected by scratch-resistant sapphire glass. 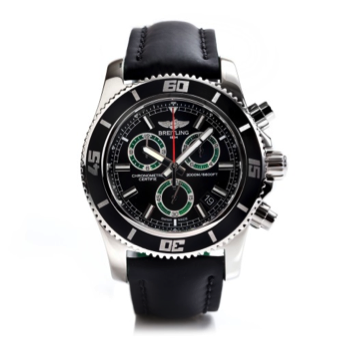 The Superocean Chronograph epitomises the unique appearance and superior performance that Breitling are best known for. The watch features a uni-directional rotating bezel alongside small second, 30 minute and 12 hour counters for further time measurements that are controlled via the metal of the case thanks to an exclusive magnetic push piece system. This piece is secured by a black neoprene rubber strap and the entire watch is water resistant for up to 2000 metres.